The famous “tapas” have become a way of life in Spain. But each zone has its own character. We collect here the most pungent tapas. A simple and very tasty lid, which was created to avoid starvation. With or without onion, it is the star of the tapas. Another great classic. In reality it is a dough to which all kinds of ingredients are added, linked with bechamel and finally fried in oil. There are all kinds, although the best known are “serrano” ham. The fritters arrive in Madrid with Andalusian immigration from the nineteenth century. From then on, almost everything was buckled and fried. But without a doubt the cod cooked this way was one of the most successful ones. The recipe is very simple: chips in oil and served with spicy sauce. But the result is incredible. A real hallmark of Madrid. An inexpensive and tasty dish where you have them. The locals identified the tapas with this delicacy. 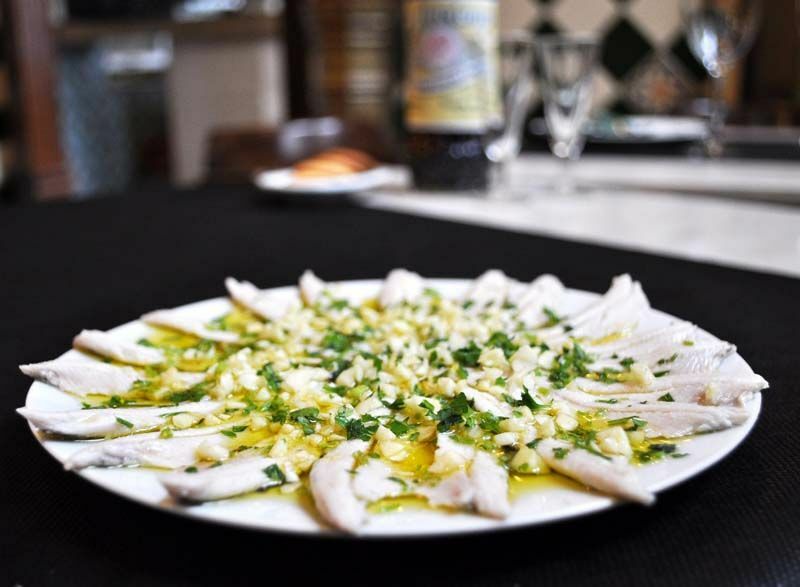 A beer or a vermouth in Madrid has to be accompanied by some good noodles in vinegar. It can be considered an unwritten rule. It is about the loins of the boqueron marinated in oil, garlic and parsley. The kitchen of exploitation has been a constant in the gastronomy of Madrid. Thus, you can find enough dishes based on the cask or parts of the animals that are less consumed. The pork ear is one of the most sought after and, of course, it is exquisite. In Madrid it is very typical, especially in the popular festivals consuming “entresijos” and “gallinejas”. It is about fried viscera in its own sebum. But attention, they have a strong flavor, so they are not suitable for all palates. And finally there is only one choice between beer, wine, or vermouth. But natural, like the one we serve at El Anciano Rey and where right now we are preparing a lot of gastronomic delights that will make your visit to our home unforgettable.